Dream Wallpaper is a free easy-to-use software that change your computer desktop wallpaper. With Dream Wallpaper, you can get over 80,000 high quality free wallpapers. 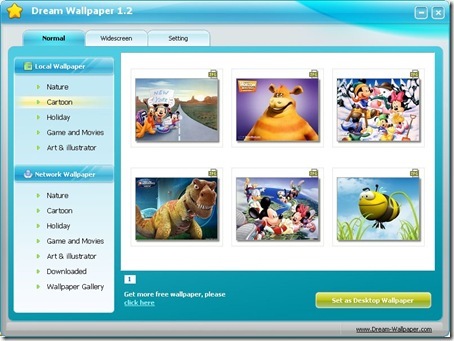 All wallpapers are separated in categories that include Movie, Star, Nature, Cartoon, Art, Animal, Games, etc. Enjoy a beautiful and colorful desktop with Dream Wallpaper, one of the finest wallpaper changers! Get our hottest stories to your inbox. Hottest stories to your inbox!